Celebrate ten years of Mouse Guard from the very beginning. Since its debut in 2005, Mouse Guard has become a New York Times bestseller, Eisner-Award winner, and an influential staple of comics and sequential art. In honor of the ten-year anniversary of the series’ debut issue, The Art of Mouse Guard is a stunning celebration of the world, characters, and artistic process of David Petersen’s beloved series. An unprecedented look behind the scenes at the history, process, and art of the beloved, Eisner-Award winning series Mouse Guard, this title is an indepth look at the artistic and creative process behind the creation of the series and each volume of Mouse Guard. -Featuring never before seen art from the creation of the characters and world of Mouse Guard, including the first ever doodles, sketches, and illustrations of Saxon, Kenzie, Rand and more Mouse Guard fan favorites. -Photos of the hand-crafted models of in-world locations and buildings used for illustration reference. 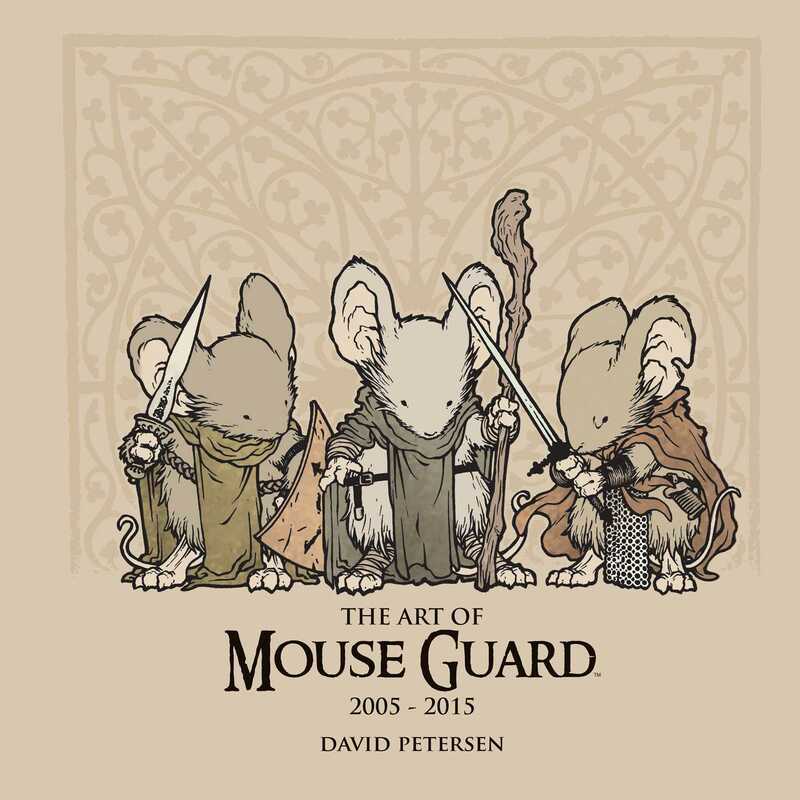 -A detailed account of the history of Mouse Guard by David and Julia Peterson as well as key contributors from the series’ first ten years such as writer and illustrator of Cursed Pirate Girl Jeremy Bastian, and personal accounts of working in the world of Mouse Guard from some of the medium’s most influential talents and Mouse Guard: Legends contributors such as Hellboy's Mike Mignola.